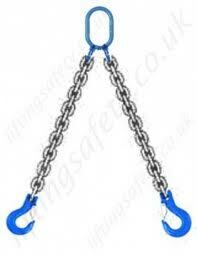 Chain slings can be delivered with Connex connecting links and accessories ready fitted, with CLEVIS fittings, or in welded construction. 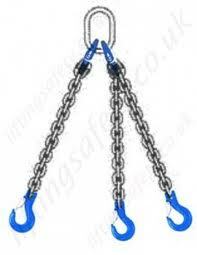 Should you require any chain sling assemblies other than those shown here, please send us a sketch of the desired model. The standard tolerance for the length “L” is +2 chain pitch.